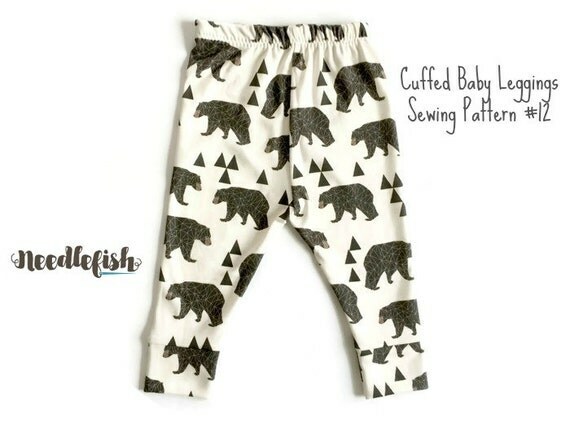 Another post in partnership with the Crafts Magazine, we will learn how to sew leggings for babies, I hope you like them. 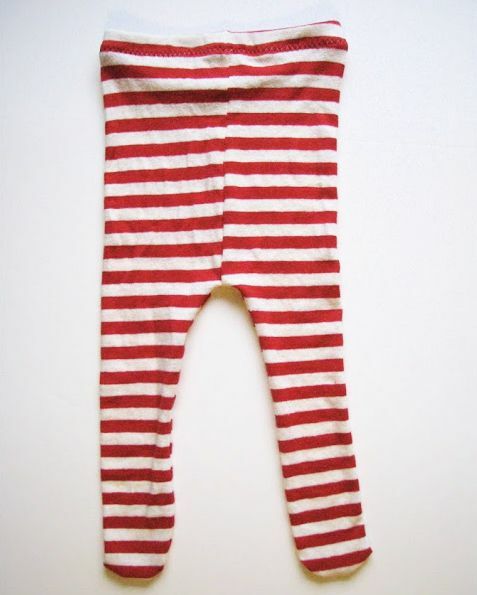 Leggings for babies are many versatile pieces as they can be used in all seasons of the year.While in summer they go well on their own or even under little dresses and skirts, in winter they can be worn under pants to warm the babies.Thus, this is a piece that is not missing in the wardrobe of the little ones. 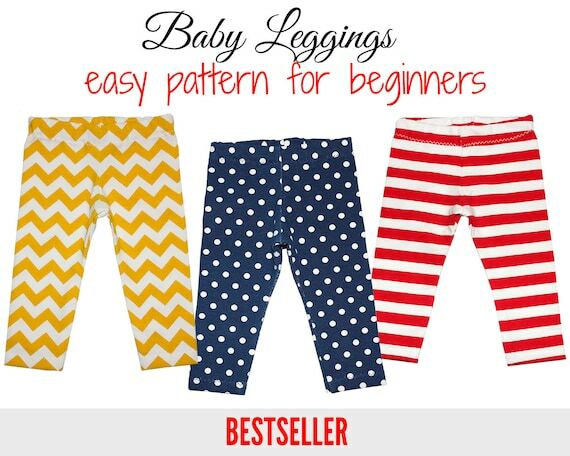 Sewing baby leggings can be a great choice for beginner dressmakers , as they are small parts and very easy to make.For this we bring this step-by-step detailed how to do this piece of clothing that every mother asks in the baby shower . Tips: For baby’s comfort, prefer lightweight fabrics such as cotton or knitwear that have good elasticity (the best needle to sew meshes is Ponta Bola or 2045). Print the baby legging templates here and use a ready-made piece as a size reference. Tip: You only need to print from page 3 to page 7. Make adjustments to the template at the time of printing if necessary. With the fabric inside out, scratch it with a chalk following the mold.Make two mirrored pieces, as each piece corresponds to one leg legging: one on the right side and one on the left side. Cut the two pieces following the chalk markings.They will be in the same format shown below. Insert the sewing thread into your machine and set it to a zigzag stitch. Tip: Before starting the sewing of the legging, test the tension of the machine on a fabric flap. Fold about 1 centimeter from the bottom edge of the legging pieces and iron at low temperature to mark them. Using the sewing machine, sew the seams with the zigzag stitch. Join the two pieces of fabric from the right side – the seam will be made from the wrong side of the fabric. Attach the two pieces of fabric by sewing the part that will form the front of the legging.Also stitch the back of the legging by attaching the two pieces of fabric. Tip: Look at the sewing indications in the previous pictures to see where the front and back of the legging will be. Stitch legging legs starting at one of the inner legging bars and ending on the other side of the legging.See the figure below. Bend about 1 inch and a half from the top of the legging to make the hem.Iron the iron at low temperature to mark the place of insertion of the elastic. Sew the waistband of the pants leaving a small opening for the insertion of the elastic. Put a pin on the end of the elastic and insert it into the sheath reserved for it. Tip:Pull the elastic band to fit it according to the desired crease. Sew the ends of the elastic together and close the opening that has been left for the insertion of the elastic. After the legging is properly sewn, turn it to the right side. 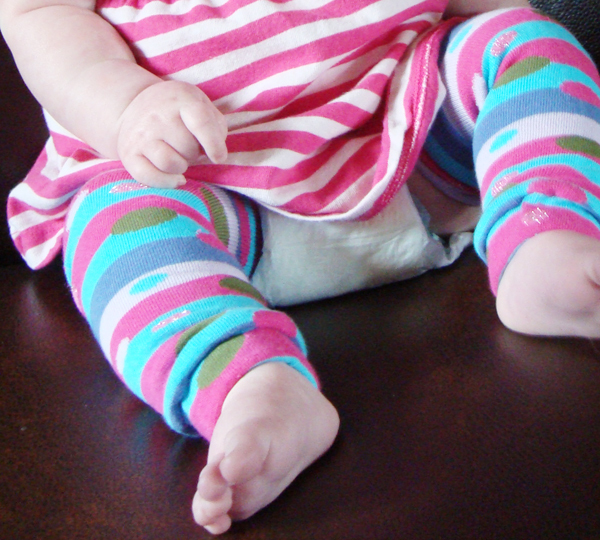 If you’ve followed this step by step, surely you’ve noticed how easy and quick it is to sew leggings for babies. Therefore, this is an excellent option for beginner seamstresses to train their sewing techniques. And after sewing baby leggings, you can gift newborn moms that you know.After all, these are essential parts to dressing babies. Did you like this sewing tutorial?Tell us what you think by leaving a message in the comments!